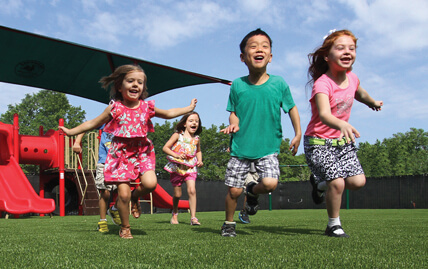 With decades of proven success in commercial applications, Polygreen's artificial turf padding is the ideal underlayment for playgrounds, athletic fields and other applications. 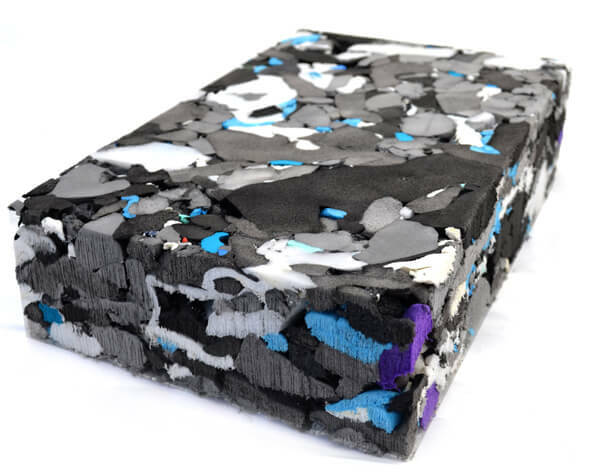 The impact-absorbing padding provides a soft, safe cushioning system beneath the turf as well as other key benefits. 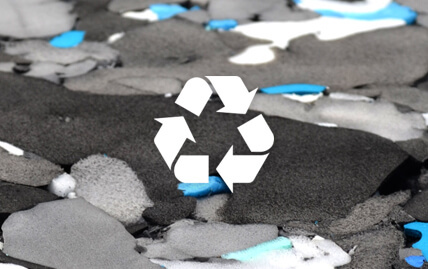 Polygreen padding is made from 100% recycled, non-contaminated, post industrial cross-linked closed cell polyethylene foam. 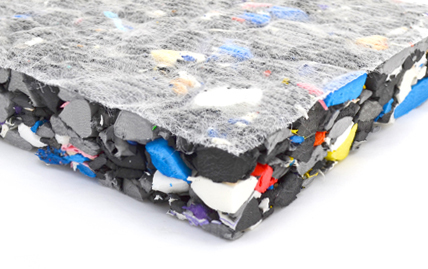 It is completely free of rubber, lead and heavy metals and is 100% recyclable. 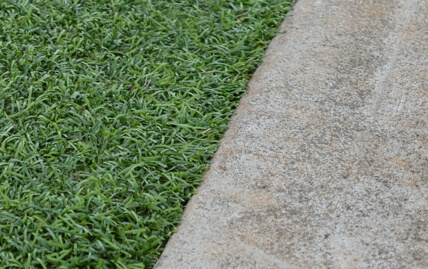 Polygreen pads are completely non-microbial and perform for years while resisting decay, deformation, mold and fungus growth. 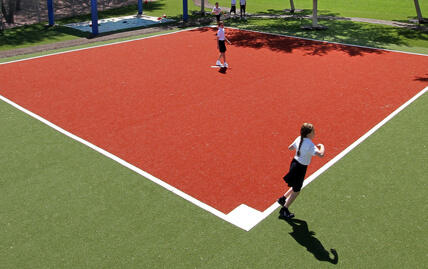 Polygreen pad's unique drainage characteristics allow water to drain very rapidly both vertically and laterally so playgrounds and fields stay drier, safer and cleaner. 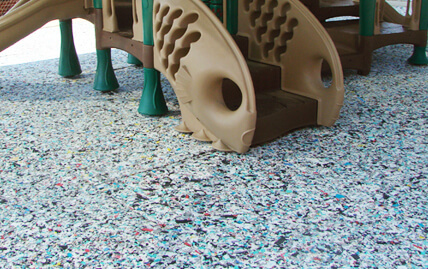 The highly porous material does not absorb water or other liquids so it is ready to be played on shortly after the rain stops - creating more hours of enjoyable play time each year. 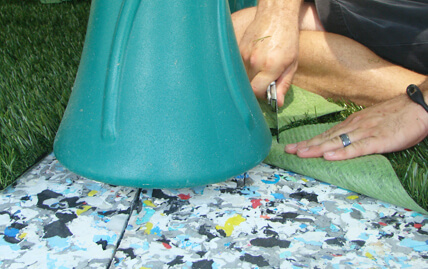 Polygreen padding provides consistent safety ratings. It is highly elastic and retains its shock absorbing characteristics for many years. 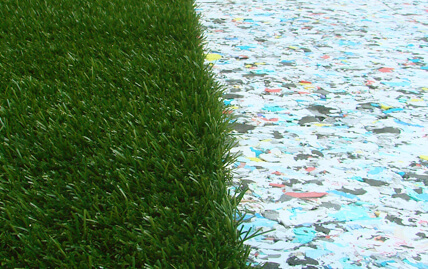 In addition to its safety characteristics, Polygreen pads feature a geotextile on one side to inhibit weed growth and enhance the overall performance of the padding. Polygreen padding is often half the cost of many competing absorption and drainage pads and is cut into standard 4' x 6' sheets that make estimating easy, minimize waste, and fit efficiently in a standard semi-trailer. All padding is made in the U.S.A. to our exacting standards and planed to ensure consistent performance and fit. Pads are available in 4' x 6' panels in thicknesses of 1-1/8", 2-1/8" and 2-7/8"